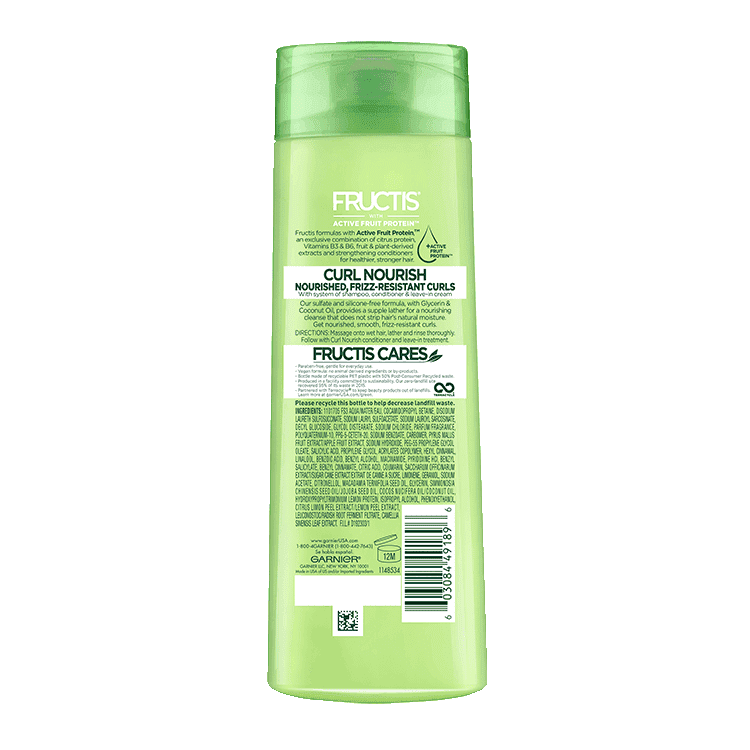 Sulfate-free and paraben-free Fructis Curl Nourish Shampoo, with Coconut oil, provides a supple lather for a gentle cleanse, that doesn’t strip hair’s natural moisture, and intense nourishment for stronger, well defined, smoother, frizz-resistant curls for up to 24 hours. Massage onto wet hair, lather and rinse thoroughly. Follow with Curl Nourish conditioner and leave-in treatment. Rated 3 out of 5 by shraddhanachi from This shampoo gives softness and shine to your hair and also gives volume and keeps it radiant. It make the frizzy hair more defined and helps the dry scalp. The scent is very fresh and long lasting. Also my hair feels more nourished. Rated 5 out of 5 by kaylala9b7 from I have wavy/curly hair. When it's wet and dries it's mostly curly. I love all of Garnier products. 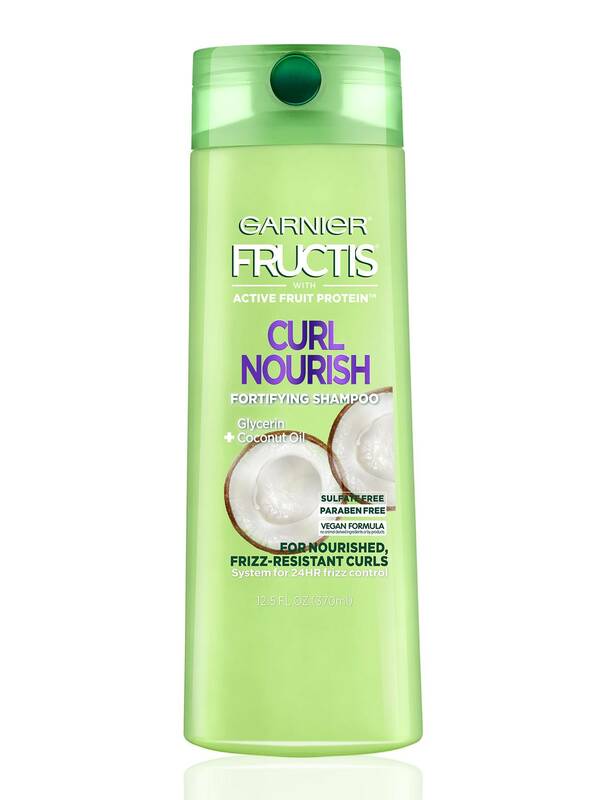 When I use this one my hair feels softer, healthier, my curls seem more defined as well. Rated 5 out of 5 by natyj1 from This shampoo gives you softness and strength and shine in your hair also gives volume and keeps it radiant. Rated 5 out of 5 by belg1 from So good! Has a great smell as well. Dont smell like chemicals or anything. It lathers so silky and soft. It literallt felt so refreshing on my scalp , the only concern i find is nothing at all to be honest. Would definitley buy again !